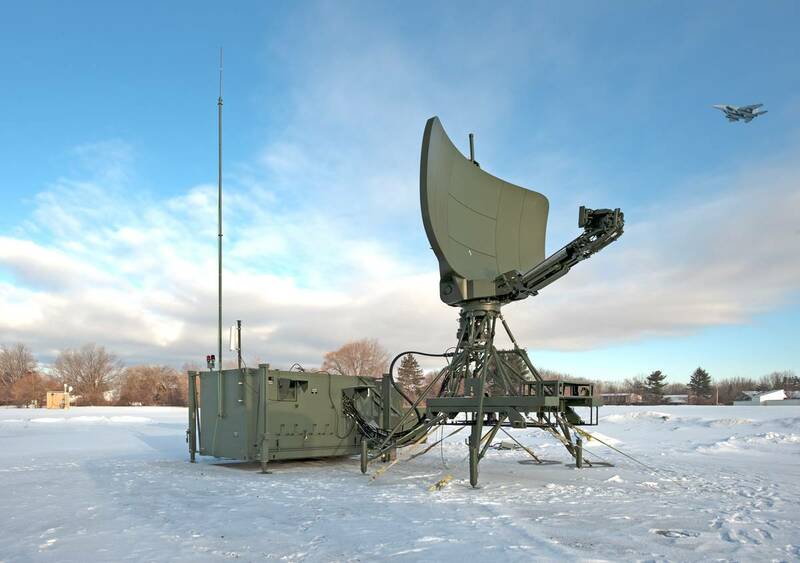 The AN/TPS-79 Multi-Mission Surveillance Radar (MMSR) is a medium range tactical radar for air surveillance and air traffic control environments and coastal surveillance applications. The AN/TPS-79 is a multi-mission, highly mobile and rapidly deployable modular radar system, that is designed for medium range “gap filler”. 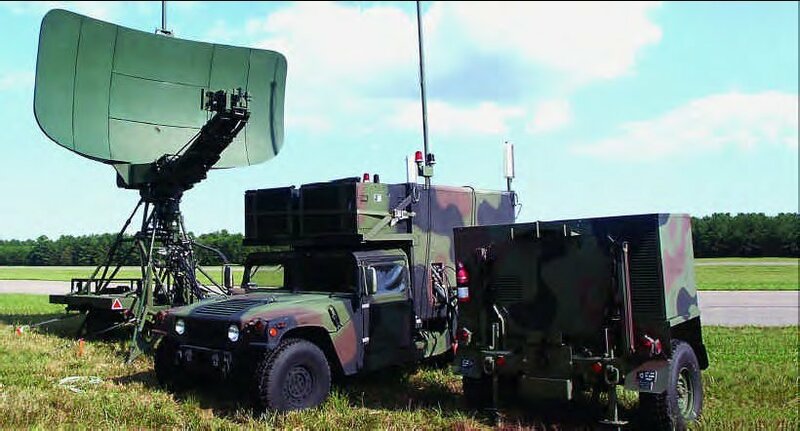 The 3D- solid-state commercial-off-the-shelf radar can be moved by land (vehicle or train), sea or air (C-130 transport aircraft or CH-53 helicopter). Set-up/pack-up time is less than 90 minutes. The radar uses a modified parabolic reflector feeded with a monopulse duplexer, providing a cosecant squared pattern with selectable linear or circular polarisation. An integrated secondary radar antenna with Mode S compatibility eliminates dual antenna alignment. The primary surveillance radar coverage (noncooperative targets) is out to 60 nautical miles and the secondary surveillance radar coverage (cooperative targets) is out to 120 NM. Improvements on the AN/TPS-79 (modificated transmitter and antenna, digital receiver and radar data subsystems) allow the use of radar as a Air Traffic Control/Approach/Landing System (ATCALS) and Deployable Radar Approach Control (D-RAPCON) subsystem. (D-RAPCON is composed of two subsystems - air surveillance radar and operations - and the requirement is for each to be separately deployable, if necessary.) The AN/TPS-79 will replace the older AN/MPN-14K and AN/TPN-19 Airport Surveillance Radar (ASR). Caused by a higher maximum range by a more powerful transmitter it can be used to provide both a terminal and enroute surveillance capability. The AN/TPS-79 may also be used with a precision approach landing system and control tower to provide a complete ATC capability and may operate in all environmental conditions. As be publicated in a press release, Lockheed Martin Overseas Corporation and the Romania Ministry of Defense have signed a contract for the co-production of 17 TPS-79(R) Multi-Mission Surveillance Radar systems for Romania’s Phase II “Gap Filler” program.